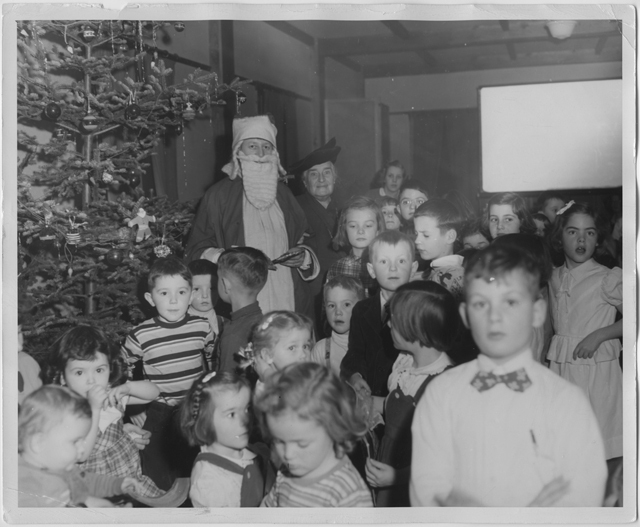 In 1928, the first and second grade students in Elspeth Hardy’s class wrote a holiday story about a little dog named Laddie saving Christmas for his family. As Mrs. Hardy described the process, “The children worked collectively; one child started with an opening sentence, the others took the thought and followed on until the tale was finished.” Illustrated by Kingston High graduate Marion Cobb Dries, the book was published in November 1928. 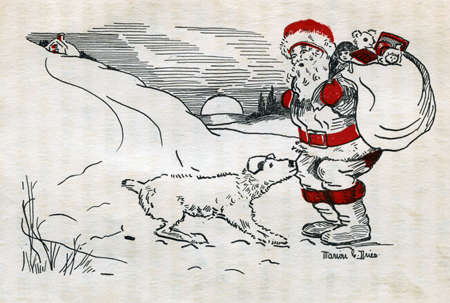 Laddie will be featured at Storytime in the Children’s Room on Monday, Dec. 21 at 6:30 in a special reading by archivist Susan Aprill. 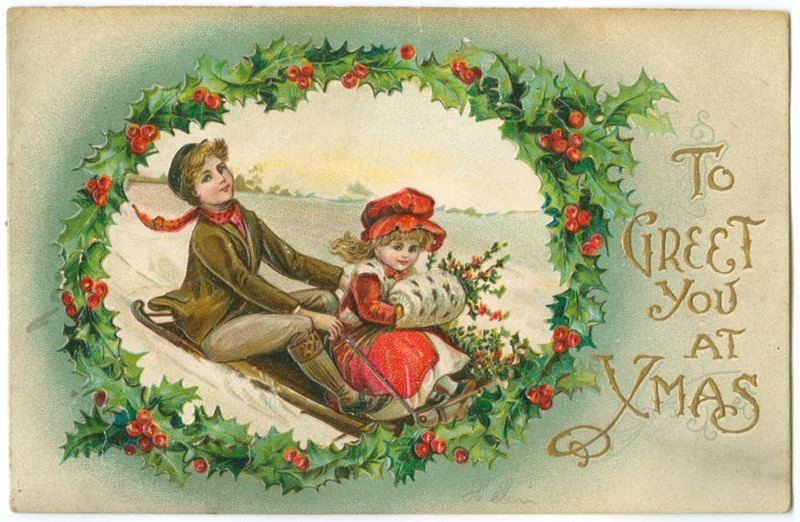 New Exhibit – Happy Holidays! 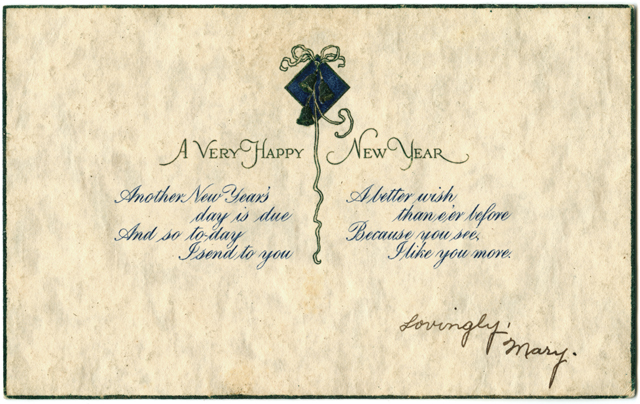 A beautiful batch of holiday mailers from the Loring Postcard Collection are now in the Local History exhibit case. Stop by and take a look. For your holiday viewing and shopping pleasure! 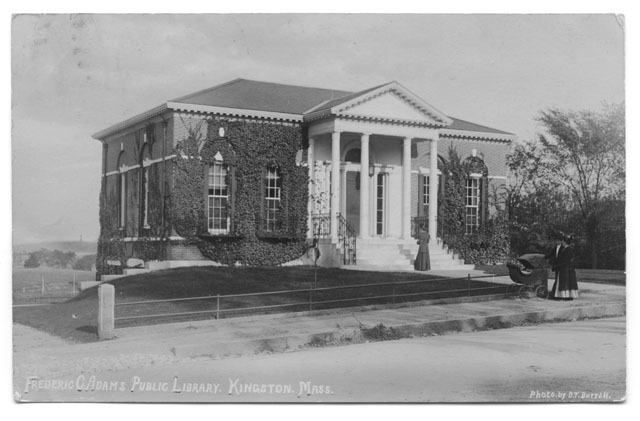 The Friends of the Kingston Public Library are offering a lovely set of notecards featuring 12 historic scenes of Kingston from the Local History Room. 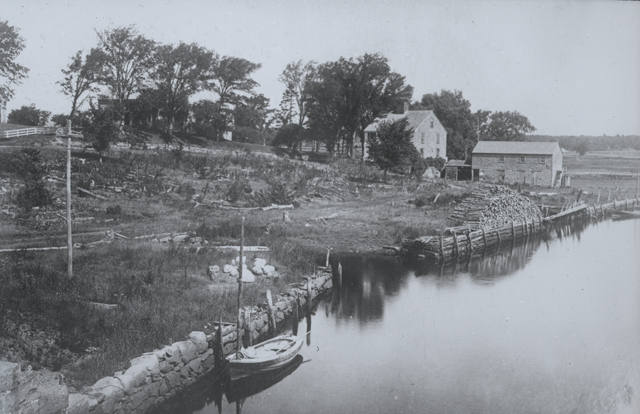 Some larger prints of these photographs are on display in the lobby. Please stop by, take a look and if you like, pick up a box of cards for the low, low price of $10. 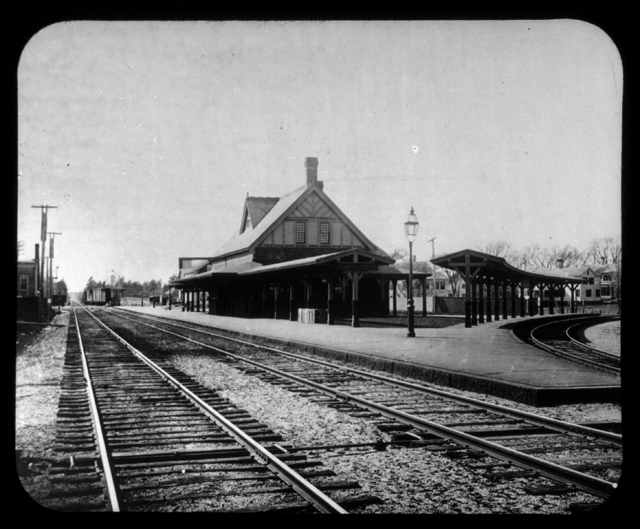 Kingston passenger railroad station, no date.